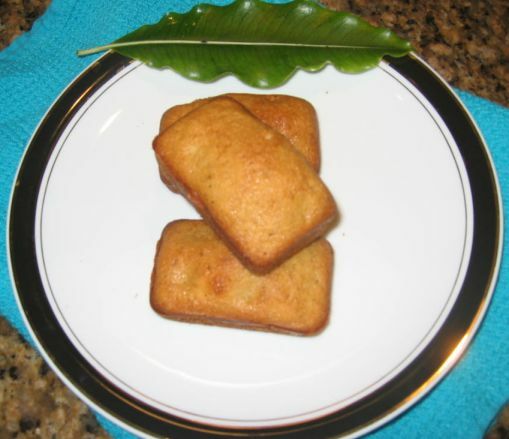 A Financier is a small cake made from a sponge mixture using ground almonds and whisked egg whites, baked in small rectangular mold to resemble a gold bar, hence the name Financier. I always thought "Financier" was indeed a funny name for a cake. Somehow I never made the connection between the shape of the cake and the name until Hoa pointed it out... 'Hello! check out the shape our your mold, doesn't it look like a gold bar?". Wow, what a concept! He is absolutely right! O.k. then, the next question is, does the cake worth it weight in gold? Absolutely! 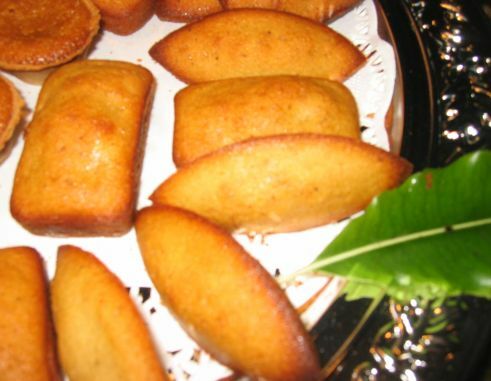 Once you try these little treasure, you will simply love it. 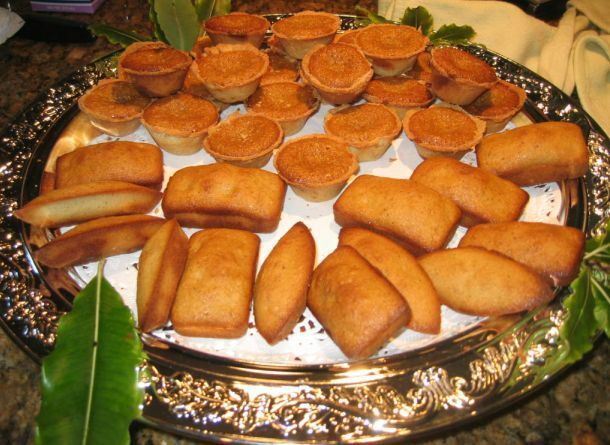 Tray full of financiers and treacle tarts. 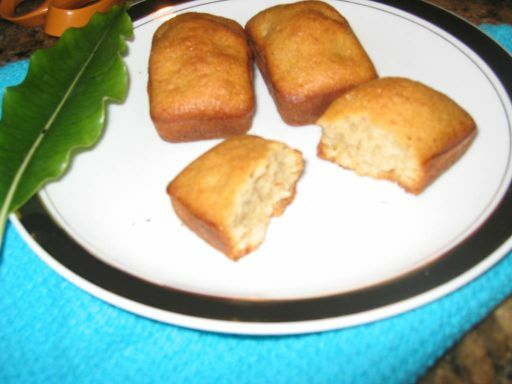 Perfect Financiers are about as addictive as chocolate.! The finest have a firm crusty exterior and a moist interior. 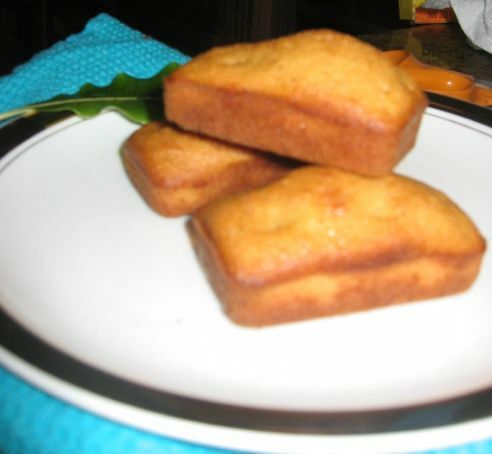 Next to the Madeleine, the Financier is probably the most popular little French cake, common street food for morning or afternoon snacking. 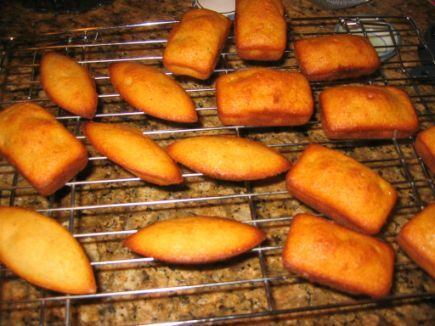 Curiously, as popular as they are, Financiers seldom appear in recipe books or in French literature. 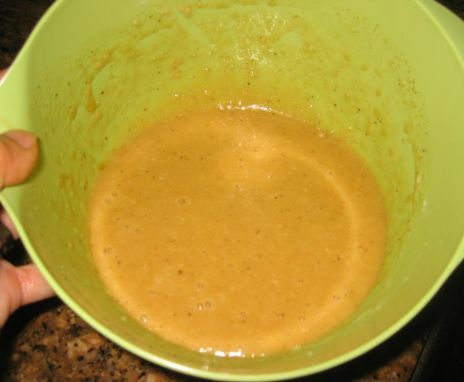 The dough is made of ground almonds, egg white, sugar and butter. The key is to brown the butter while cooking it, it is called "beurre noisette" resulting in a butter that has a nutty flavor. 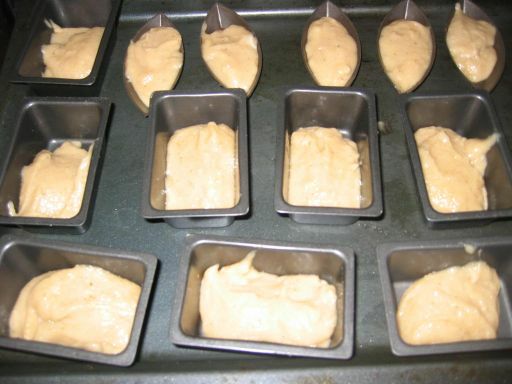 The dough has to rest overnight and then put into molds. Freshly out of the oven and put on a rack to cool down.